When Tim Herring's family moves to the village of Lushbury near Stonehenge, strange things begin to happen...Who is the mysterious girl hiding in Tim's garden? Why do the birds of Lushbury only fly in straight lines, and why do the church bells toll when the building has lain derelict for years? Tim's questions are soon answered as the children are pitched into a desperate race to protect an ancient secret buried beneath the Standing Stones -but can they really hope to win against such a terrifying enemy? 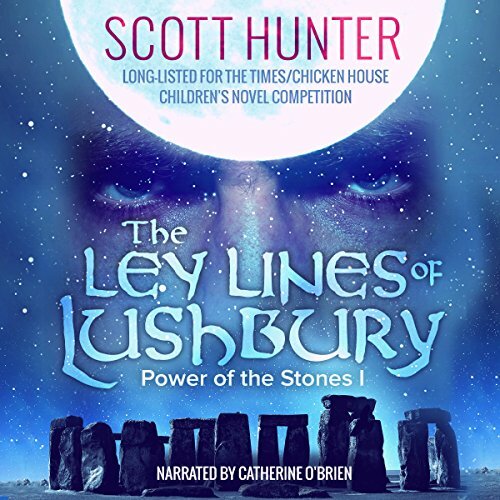 The Ley Lines of Lushbury is part one of The Power of the Stones trilogy and was long-listed for the Times/Chicken House Children's Novel Competition. if you love Stonehenge and feel the pull of the stones this little story is for you. I cant wait to listen to the next book.